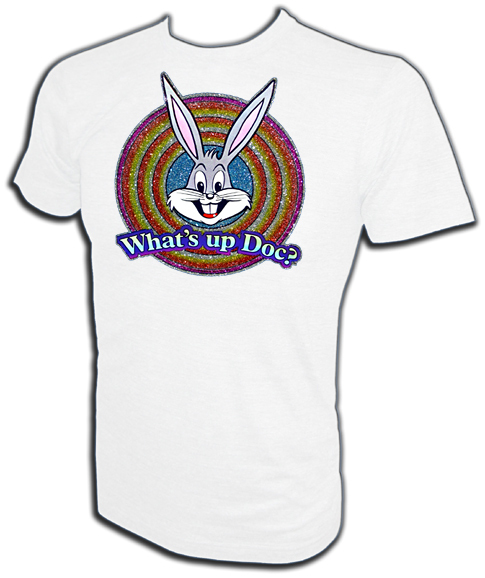 The legacy of Mel Blanc and Looney Tunes lives on with this vintage licensed GLITTER iron-on t-shirt. This is the most recognizable cartoon logo in the world... can you say RARE! 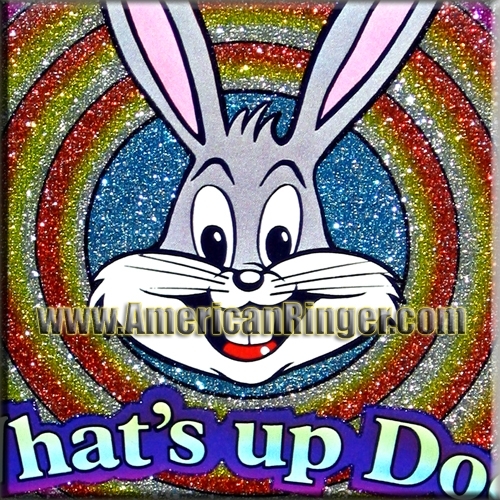 This is indeed one of the most sought after Bugs Bunny prints known to exist. This AMERICAN RINGER RARITY is dated 1980 and impossible to find anywhere else in the known universe! AmericanRinger.com acquired these and NOBODY ELSE HAS THEM! This is the real deal vintage stuff only available from American Ringer.